We like to have our beers tested during tasting sessions now and again and a great opportunity to do just that is about to arrive. Though we will remain within our hometown, we expect to encounter a critical audience next Tuesday. 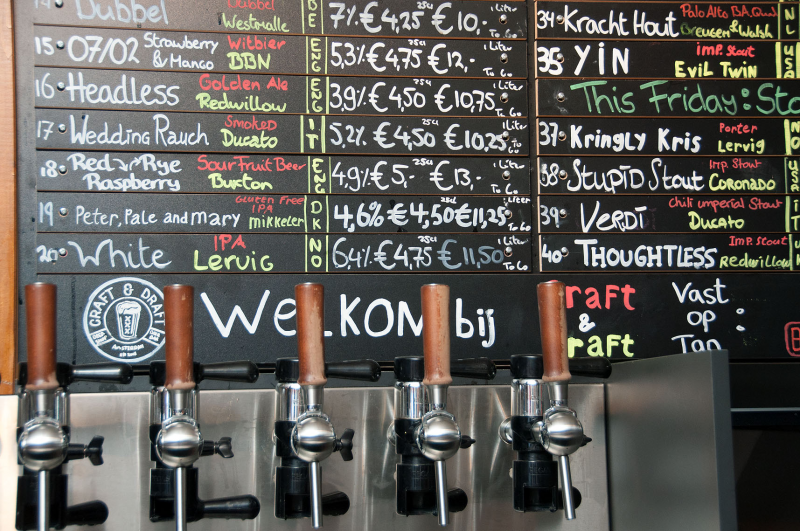 Location will be Craft & Draft, another jewel in the crown of Amsterdam’s beer king Peter van der Arend. His career could be summarized as a string of bold moves that pay off. 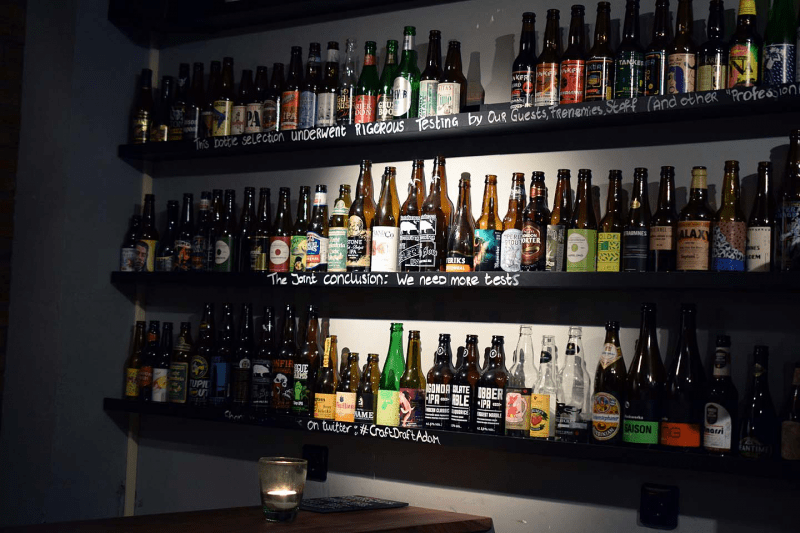 Long before it received its current recognition, Peter invested in Dutch craft beer and opened the Arendsnest, a bar where the menu consists entirely of great beers from the Netherlands. 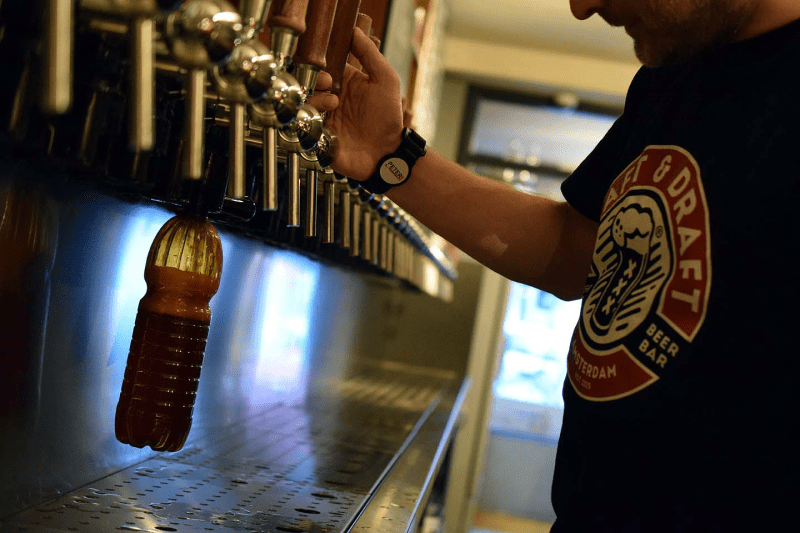 Subsequently, he established the American BeerBar BeerTemple and taught the Dutch to appreciate the hoppy stuff. Craft & Draft is his third cafe and it offers a lot of all the beautiful fruit the global craft beer scene yields these days. 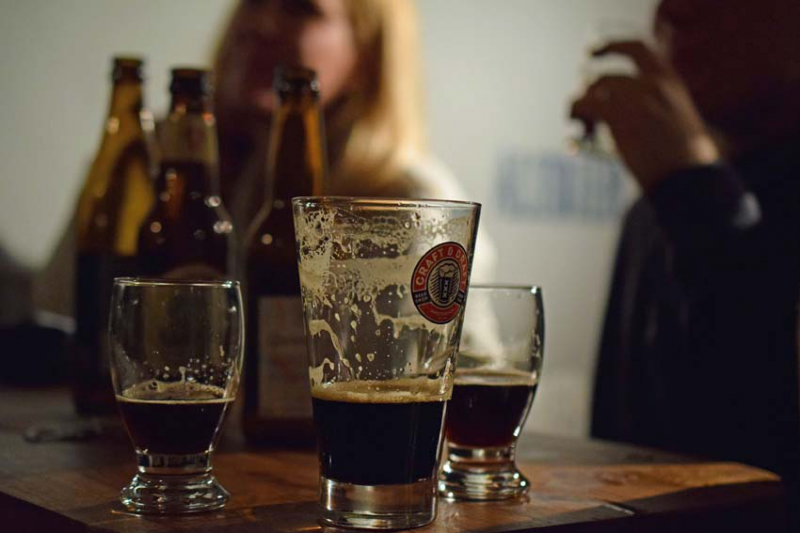 From established Belgian brewers to local heroes, beers from Denmark to Japanese brews, you might find anything here. No less than forty options on draft here and if that is not enough, there are about a hundred different cooled bottles available in their shop too. Tasted anything so good you want to take it home? They do one litre growlers too, bottles that enable you to do just that. All in all, a place well worth a visit anytime. We suggest you come over on April 5th though, when we will host our tasting session here from 8pm. We will bring the PaasIJ, our maibock, the Flink and an experimental surprise brew. Time-To-Taste means a free taste of all three of them and of course we will be present to tell you all want to know about our beers. Please note that the Vondelpark, great place for a sobering walk, is just around the corner. One comment on "Time-To-Taste at Craft & Draft"